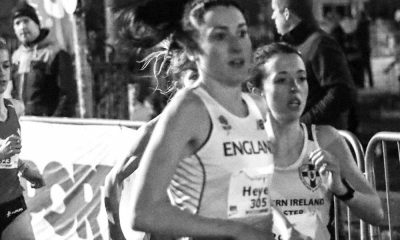 Fionnuala Ross delves into the world of distance relay running to highlight the heightened sense of camaraderie that can be experienced, something that is often missing in some elements of our sport. In athletics, the mention of relays conjures up images of chaotic changeovers and dropped batons, anchor leg runners standing with their hands on their hips awaiting a baton which will never arrive, or Usain Bolt eating up a deficit in the home straight before gliding effortlessly through the line to claim another gold medal in front of a packed stadium. Yip, 4 x 100m or 4 x 400m on the track can be full of drama and can produce some wildly exciting racing. But dig a little deeper and you’ll soon find there’s more to relay running than these crowd pleasers. With the recent inclusion of mixed relays in global cross country events, DMRs (distance medley relays) at world track events and the continuing Japanese tradition of Ekiden road relays, it could be said that the profile of relay running in general terms has never been higher. Throw runners of differing abilities into the same team and the potential for exciting racing and changes of placings throughout a race increases no end! However, personally, until recently my own exposure to any sort of relay event had been limited. Through my younger years relay running never really formed a part of my racing calendar, while during my university years in the US, my focus remained very much on individual events (although the overall team element of various meets was clear to see). In truth, the first relay event I recall being a part of came about within weeks of arriving in Scotland for my final year of study to complete my Masters degree at Glasgow University back in 2013. At this stage, it’s probably worth pausing to give a bit of historical context on Scottish relay running. It’s become apparent to me that the tradition for relay running in Scotland, particularly on the roads, stretches back a long way with countless events filling the autumn and winter race calendars back in the day (or so I’m reliably informed!). With the increase in vehicles on traditional race routes most of these events have, to the despair of many a Scottish runner, fallen by the wayside, mired in health and safety issues, risk assessments and increased policing costs. The Daddy of them all in these parts was the Edinburgh to Glasgow Relay (or the E to G as it was known), an eight stage race between the country’s two biggest cities which took place from 1930 through to 2002. If you’ve got the inclination, a trawl through the online archives of the race will throw up the names of some of Scotland’s greatest distance runners. 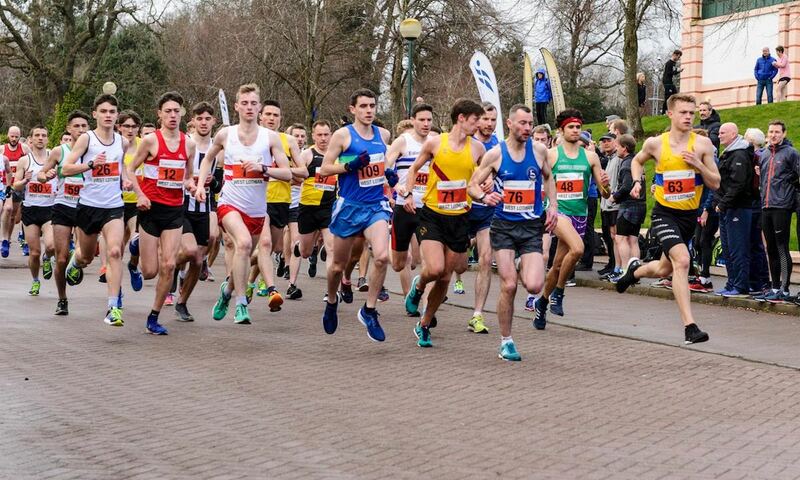 It was in preparation and hopeful qualification for the E to G (usually run in April) that many road relays sprang up, used as testing grounds for clubs to piece together their strongest teams through the winter months for an assault on ‘the big one’. But getting back to me (!!! ), it was one of these ‘traditional’ relay races I found myself a part of back in 2013, the McAndrew Relay, courtesy of an invite to my home club, Armagh AC. Without going into too much detail, it didn’t seem like too much fun at the time running the hilly course on tired legs, coming as it did six days after my marathon debut! If memory serves me right, I ran an ok time in the circumstances with our Armagh team coming in a few places behind a Glasgow University team containing an emerging Laura Muir and a couple of my, as yet unknown, future Scottish clubmates (note to self… should have pushed for a place on that team with Laura as I’d just started studying there). This time round, having joined Shettleston Harriers in Glasgow, I found myself on the opening leg of the 2015 Scottish National Cross Country Relay Championships. A change of surface, but another very traditional Scottish event and part of the early season cross country calendar which encompasses regional and district races, all of which I’d bypassed. In the event, once again a speedy Miss Muir disappeared off into the (middle) distance as I tried desperately to hang onto her coat tails. Still, this race seemed a much more enjoyable wee outing on my favourite sort of terrain. And then… nothing. Three years passed and not a single relay. The bug hadn’t yet bitten. Fast forward to late 2018 and I found myself standing under a dripping wet gazebo actually looking forward to running the first leg in the West District Cross Country Relay Championships in a soggy Irvine on the Clyde Coast. Suddenly it never seemed to matter that the rain was pouring down. Or that the course was super hilly and ran up and down sand dunes. I was going to run my heart out for my team! The friends/clubmates I was running with were relying on me to set them up for a high finishing position and I felt ready to take on the responsibility. Running is a pretty selfish sport and most of the time I’m happy to admit I’m doing it for myself only, racing to finish as high in a race as I possibly can (though in individual events, placings are obviously important in terms of the count for team standings). But in relay races, the focus shifts. Your team are depending on you and you on them. If you crash and burn or don’t finish, they crash and burn or don’t finish! It’s an added pressure, but, as I’ve now discovered, an enjoyable one. I ran a lonely first leg out ahead of the rest of the field that day which did give me that personal ‘leading the race’ sort of buzz, but I also found a surprising (to me) sense of pride in how hard I’d worked to benefit my team, not just me. We medalled and the bug had bitten! In recent months, in between the odd cold and niggle, I’ve found myself part of the Shettleston team at a couple more relay races. The first of these was the Allan Scally Relay, one of the few remaining ‘traditional’ road relays, a race organised by Shettleston Harriers which was in danger of joining the growing list of road relays consigned to the archives just a few short years ago. After changing home a couple of times, it’s now run over a more traffic-friendly, health and safety-conscious course than before, but the vital ingredient of relay racing remains. You get out there and give your all for your mates! Thankfully, in this one they’d given their all for me, and as the last leg runner, I was given a nice lead to carry through to the finish line, with a palpable sense of home club pride coursing through all of us as we took the win! 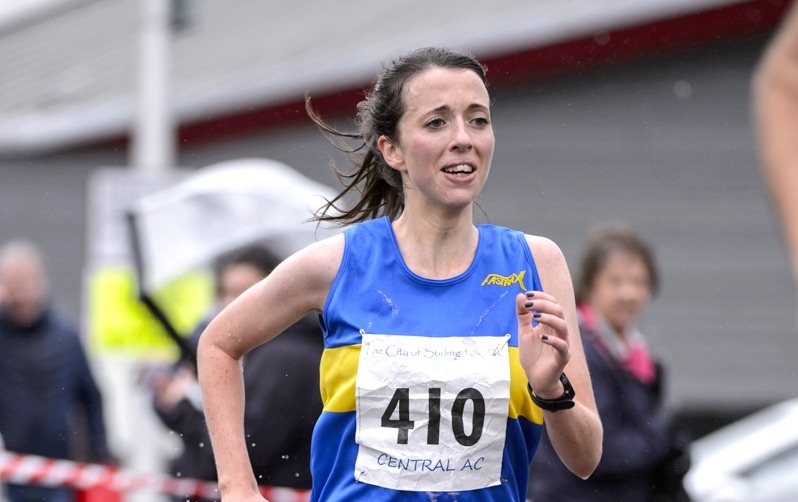 A few short weeks later and the race situation was completely different as I anchored our team at the Scottish National Road Relay Championships on a challenging, hilly course while buffeted by strong winds throughout. In the absence of the E to G mentioned earlier, this race is now at the top of the relay tree North of the border (though some may disagree!). In the race itself, setting off in fifth position with a pretty big deficit to make up on the girls ahead of me, I managed to run a decent leg and haul us up into the medals, eventually taking silver behind a strong Central AC team. Again, the sense of personal satisfaction at how I’d run was more than matched by the feeling that we’d performed well as a team and had each put all we had on the line for each other (I was particularly impressed to find out that, running aside, one of my teammates had driven for three hours to get to the race to run her 20 minute leg, before driving another three hours home afterwards!). I suppose what I’m maybe saying in a roundabout way is that where relay events were previously a bit of a mystery to me I think I kind of get them now! Although I’ll always be a running individual in the strictest sense of the word, I now fully understand what being an integral part of a relay team means. With club relay events like the ones I’ve raced in being a constituent part of the running fabric up here, it’s great to see them all being supported in big – often record – numbers, in line with the positive growth in competitive race participation overall in Scotland. 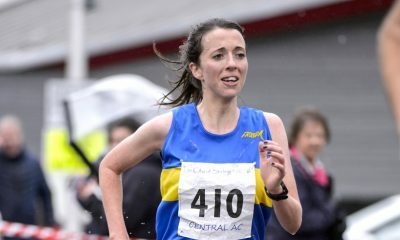 These relay events are part of the rich tradition and lifeblood of Scottish running (and still form a significant part of the calendar elsewhere in the UK and Ireland) and need supported and valued, bringing as they do a heightened sense of camaraderie often missing in some elements of our sport. If someone like me who often runs with blinkers on – even when with others – can discover a ‘new’, exciting and enjoyable strand to the sport, who’s to say you can’t do the same? I’m sure many of you reading this already get the sort of enjoyment I’m banging on about but, if not, take one for the team!